Ordering Korean food for the first time in a Korean Restaurant? In the last two blogs we explained all about how to choose a Korean restaurant, and what to expect during your meal. Here’s a few more tips, and how to deal with payment. Feel free to ask for a fork if chopsticks are not your favorite. You can say “po keu reul juseyo” (포크를 주세요). Most place will have them available. Try to keep your rice bowl on the table, and not pick it up when you eat. The history on why this is expected is not necessarily clear, but it’s still considered polite. In Korea, let the oldest person start eating first, and wait for them before you begin eating yourself. This is another easy way to show respect. At the beginning of the meal, you can start with kind of complimenting the chef and say “I will eat well”, jal meo gge sseum nida (잘 먹겠습니다). It’s thanking them for their hard work to cook for you. After the meal, instead of saying the Korean translation of thank you, you can say “I ATE well”, the past tense of what you said before. This is 잘 먹었습니다 (jal meo geo sseum nida). You can say this in restaurants, and especially if someone has personally cooked for you. Your bill will be brought to your table when you first order. Any time you order more items, whether drinks or food, it will be updated. When you’re ready to pay, feel free to pick it up and take it to the cashier. Tips are not generally given in Korea, and usually just lead to confusion if you try to give more money than is on your bill. It absolutely will not be expected, and no one will think it is weird or cheap if you only pay for your meal. If you’re really committed to paying something extra, you could give a larger bill and say that you don’t need change, say $20 when your total was only $18. Regardless however, it’s probably easier to not pay a tip. 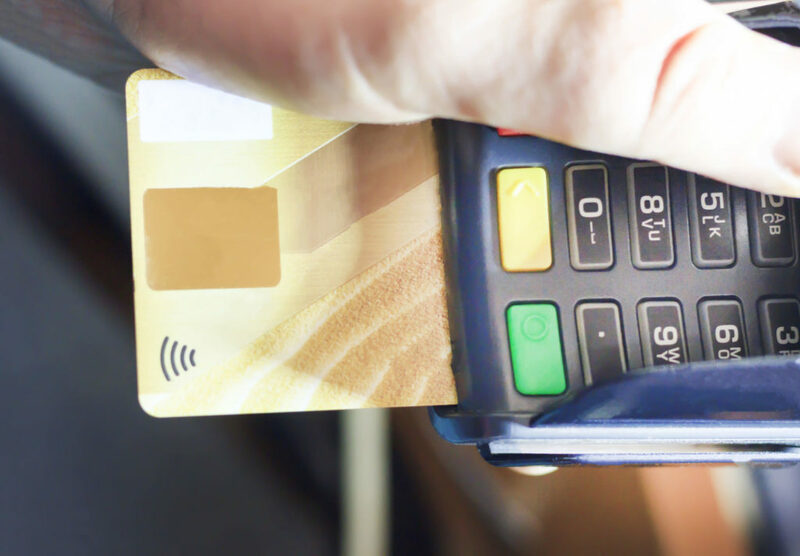 These days, almost every place in Korea will be able to take a credit or debit card. Cash can be used in small restaurants, but many places find it a little cumbersome now and prefer to charge a card. Some restaurants will ask for you to pay as soon as you order, instead of when you leave. This is much less common, but if it happens, it’s not something to worry about. Tax is already included in your bill, so the prices should match what you saw in the menu. There likely won’t be extra charges when you go to pay. Koreans tend to always have one single person pay, instead of dividing one bill up into a smaller amount for each person. Usually the person who pays is the oldest, especially when eating out with friends, but this can be flexible too. It might be confusing to try to split the bill more than two ways, so usually it’s just done as a group. In Korea, it is not common to take leftover food home after eating. Some places will do it, but in general don’t plan to take anything remaining home. Feel free to ask for refills of all the side dishes though! Don’t worry about not liking everything you try, or seeming rude if something’s not your style. Now you’re ready to try all the Korean restaurants and see what you like! Good luck eating all the delicious food! Please remember, we have a special 2-week study trip focused on Korean food this Spring. Please click here to learn more. Spots are limited, check it out now!